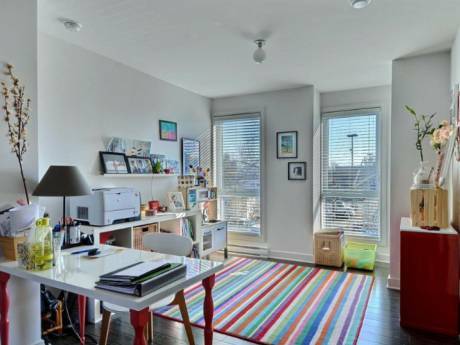 Beautiful two bedroom condo (840 sqft) with large gorgeous terrace (additional 450 sq ft). 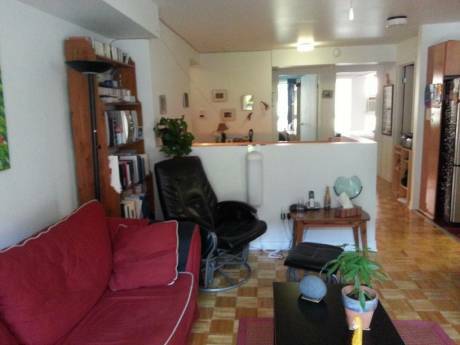 The condo is conviently located at two major Montreal highways, Decarie (15) and Metropolitan (40). 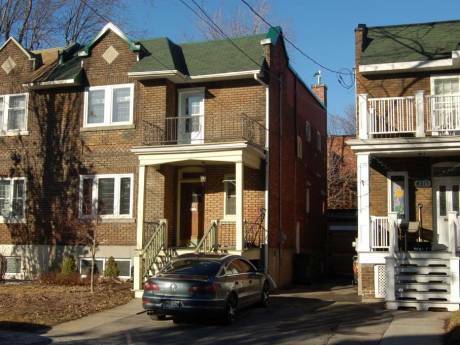 Only 10 minute drive to the heart of Montreal. One bdrm has a Queen size bed and the other has a double Futon. Two underground parking spots are available for use. Home has nice finishes with Stainless Steel appliances and full size washer and dryer. The terrace offers additional seating area, table with four chairs, bar with two bar stools and a sofa and two arm chairs. The terrace also has a BBQ great for entertaining. My name is Hinta. My husband Brian and I are a young married couple. We enjoy travelling and would like to continue to see more of the world before we start our family. We are both business professionals. I am an accountant and Brian is completing his Masters in Business Administration (MBA) while working with the Provincial government of Ontario. Ville St. Laurent is in North Montreal. It is a quaint town with great restaurants. The condo is also walking distance to the Du College Metro stop which will take you right into downtown in 20 minutes. Montreal is filled with great restaurants, lounges, and clubs. It also offers great sites in Old Montreal, Olympic park etc. There is also a large beautiful Casino (old Expo Building) for anyone interested in enjoying a night gambling. Mont Tremblant is about 140kms for a great getaway to the mountains and a little skiing or White Water Rafting.